Looking for that certain something to spruce up your home? 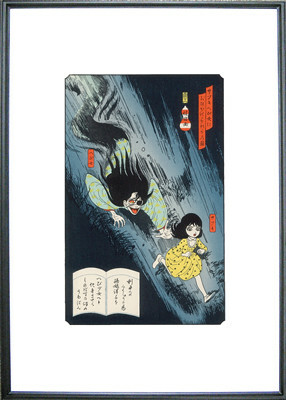 How about a traditional ukiyo-e woodcut print of Kazuo Umezu's Drifting Classroom?? 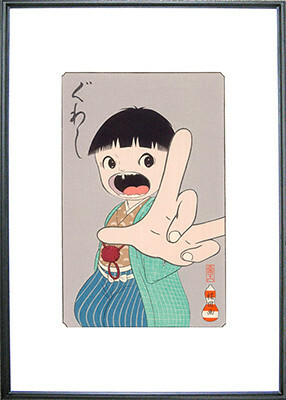 Our favorite and most energetic mangaka, Kazuo Umezu has teamed up with the Adachi Institute of Woodcut Prints to create a series of limited edition ukiyo-e prints of his works, using hand-carved woodblocks. 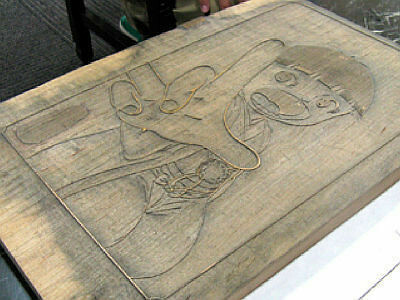 The exhibit features not only the signed prints, but the carved woodblocks used in making the prints on display. 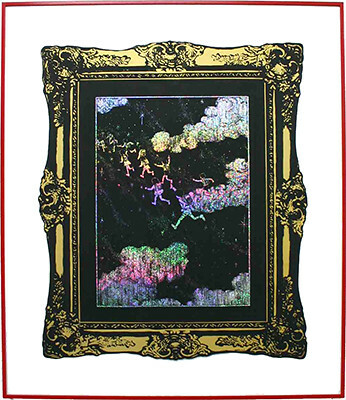 If you're in the Tokyo area, you can check out the show at GAoh! Gallery, which opened on July 7 and runs until September 13. Hebi Onna (Snake Woman) works really well as a traditional spooky ukiyo-e.
Makoto-chan peeing with scenic views. Check out the "GWASHI!" hand-written in script, haha. 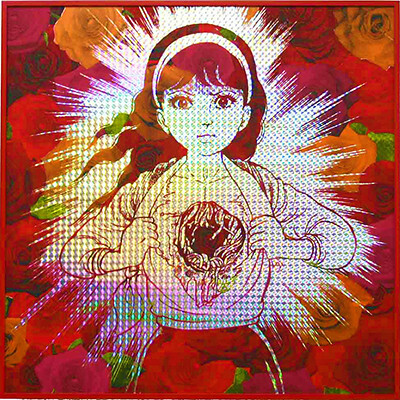 And finally, here's a promotional video from the GAoh Gallery site, with images of the prints and Umezu singing (and hamming it up, what's new?). Enjoy! The size of that video is strange. GWASHI! As a huge fan of all things printmaking, this is incredibly exciting to me. Relief is the one printmaking class I didn't take last year, to my growing regret. I love the shot of the carved block. And the Snake Woman one is my favorite. Thanks for the post! The psychedelic prints are sick. 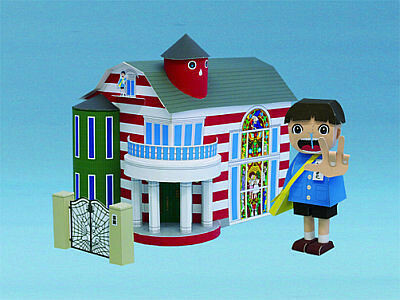 @sheisept: I thought you might like this one :) I wonder if the Adachi Institute has classes or tours for the public? 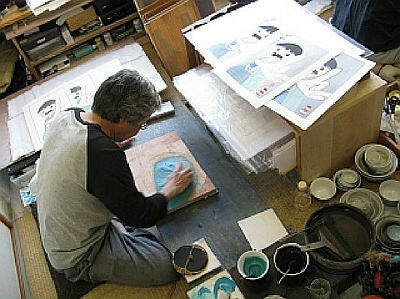 The raddest part of the gallery show is that they will have the woodblocks on display alongside the prints. So rad. They should make a masters of horror type series of contemporary horror mangaka done up ukiyo-e style. That'd be so tight. @Laika: I concur, most definitely. 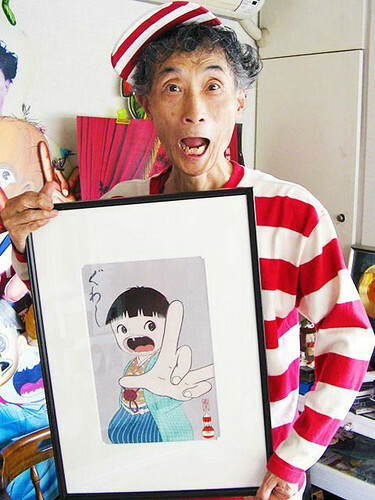 zomg, umezu changed his shirt! @Nate: But it still has stripes!